Here’s a wake-up call for parents – you are unlikely to know if your teen is a victim of cyberbullying. No doubt you’ve witnessed reports of what appears to be a huge increase in cases of cyberbullying. It makes sense; our kids are online all of the time, especially on their phones, and a lot of what they’re doing involves interacting with other kids. Online is where their friends are … but the mean kids are there, too. 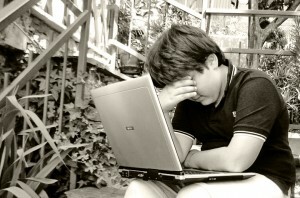 According to recent statistics from NoBullying.com, 52% of teens report having been a victim of cyberbullying. Sadly, only 33% of those victims have reported the bullying to parents or another adult. Cyberbullying is detrimental for your child in so many ways. It can lead to distraction and poor performance in school or, worse, not wanting to go to school at all. Kids who are cyberbullied often suffer from low self-esteem, may be driven to hurt themselves or, in very extreme cases, commit suicide. The forever nature of content online and on smart devices makes the impact of cyberbullying more far reaching and long lasting than with regular old-fashioned, in-person bullying. Cyberbullying can be anonymous and occur 24/7. Social networks and messaging apps enable the abuse to reach a huge audience, and due to their very nature, copycat bullies can easily join in. 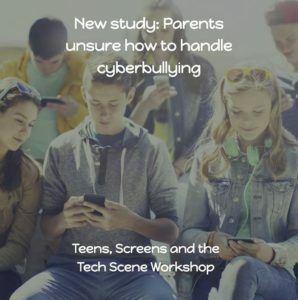 Let’s take a look at why two out of three teens who are victims of cyberbullying have chosen not to tell a parent or report it to authorities. Fear of making it worse – Kids are smart, and they know that bullies are looking for attention. By reporting and acknowledging the incident, they fear that the bully will be angered and might step up his or her efforts or even incite others to join in. It’s embarrassing – Your teen may fear looking stupid or weak in front of others. If the incident is reported, other people are likely to hear about it. Imagine the horror of a teen hearing from peers after being bullied that they somehow deserved it, brought it on themselves or should have just toughed it out rather than being a snitch. The price of admission – A recent European study showed that over half of teens view some level of cyberbullying as a normal part of online life. Being present and active online is a critical component of your teen’s life and how they communicate and interact with friends. If all of their friends are online, they have to be there. Sitting out is not an option. Your reaction – Your teen may not know how you will react if they reveal that they are a victim of cyberbullying. Are you likely to make a scene with school officials? If your reaction to the bullying might be to shut down the social network or app in question or, worse yet, take away their phone and computer, there is no way you are going to hear about cyberbullying until it has progressed to a very serious state. As a parent, there are a number of steps you can take – short of cutting your teen off from his or her friends – to make sure your family doesn’t find itself in this situation. 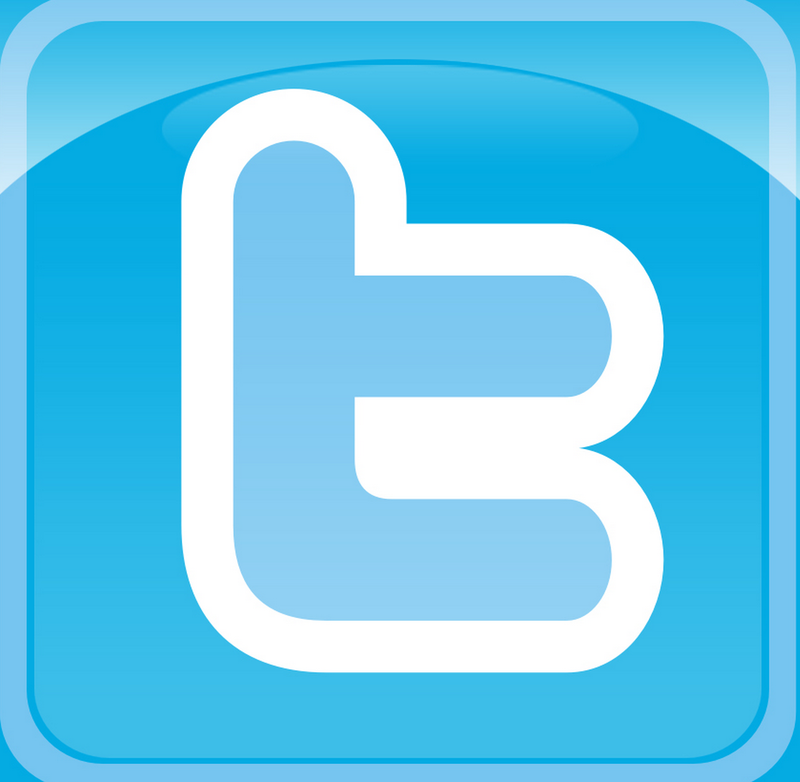 When cyberbullying occurs on social media, the simplest step is often the most effective. 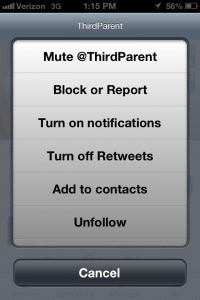 Help your teen block or unfollow the bully so that the lines of communication are cut off. If the bully is reaching your teen via text message, most cellphone carriers offer a free and easy way to change a cellphone number. By keeping the lines of real communication open, you can help your teen understand that there are available options for victims and that you are absolutely on his or her side. It will go a long way to ensuring that you have an opportunity to be the best parent you can be. 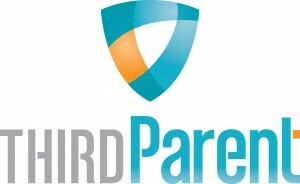 Created by parents for parents in 2013, ThirdParent specializes in Internet safety for teens and kids. 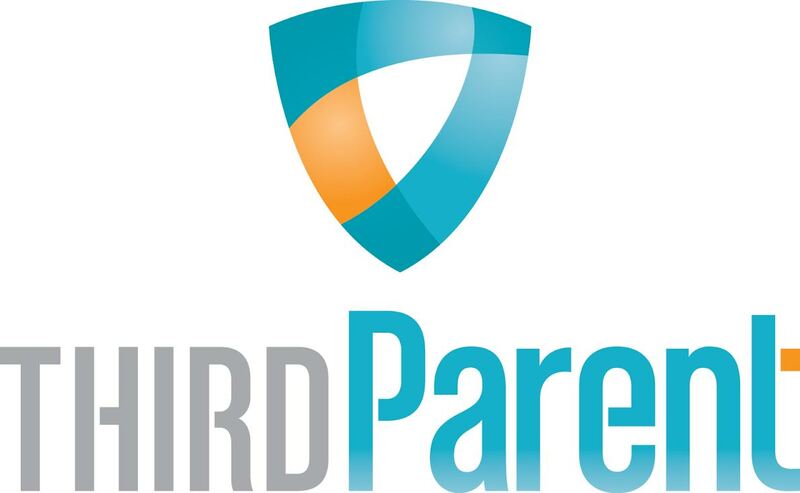 ThirdParent provides discreet, professional online monitoring and reporting services to equip parents with the tools and resources needed to proactively safeguard the privacy and reputation of their kids online. For more information, visit www.ThirdParent.com. Rob is ThirdParent’s co-founder and executive vice president – operations, overseeing the day-to-day operations of the auditing and monitoring team. As an online reputation management and Internet safety expert, Rob is frequently sought after by the media and organizations to speak to parents and teens about online security and reputation management. Rob brings a vast background in research, teaching, sales and finance from holding positions with firms including Merrill Lynch and Robertson Stephens. Outside of ThirdParent, Rob is a father of three and lives with his family in Montgomery Township, N.J.